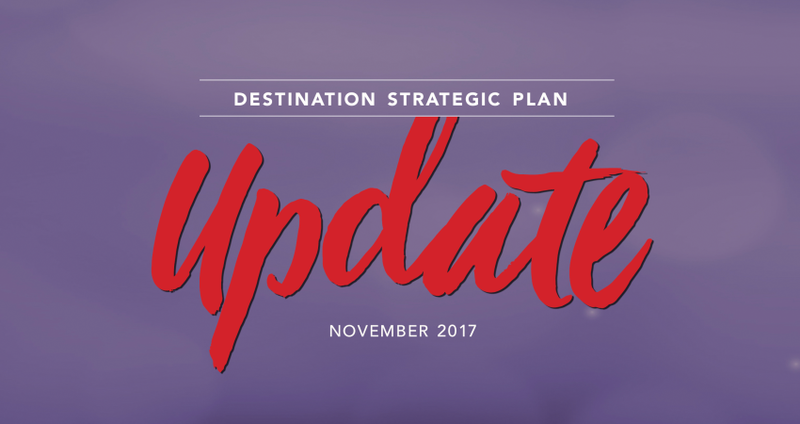 As you know, GRCVB has been working with consultant Jones Lang LaSalle (JLL) to develop a comprehensive Destination Strategic Plan for Raleigh and Wake County covering the next 10 years. This week, we’re sharing from JLL a brief summary of the work they&apos;ve done so far and what’s coming up next. Kicked off the DSP in market the week of Aug. 21, 2017, beginning with a series of focus group meetings across Wake County and culminating with a presentation at the GRCVB’s Annual Meeting on Aug. 24. Met with six of the twelve municipalities so far (and planning follow-up visits to meet with the remaining communities the week of Oct. 23). These meetings help gain insight from each town and gain understanding of the connection to tourism development. Met with several groups of leaders in the business community, as well key attractions staff, including the Centennial Authority, Marbles Kids Museum, North Carolina Museum of Natural Sciences, members of GRCVB’s Passionate Minds Collective and others. Interfaced with the consultant engaged to plan the future of the Dorothea Dix Park. Created a stakeholders survey to collect input on key strategic topics and needs. The results of this survey will aid in the development of the DSP (in addition to a forthcoming resident survey etc.). Continue work on a detailed asset inventory, to understand all of the current tourism assets countywide. The work on the detailed asset inventory will lead into production of a Situational Analysis report, a key deliverable of the DSP project. Visit the area again the week of Oct. 23 to continue meetings with community leaders, DSP Steering Committee and GRCVB stakeholders, such as The Conference Table and Wake County Cultural Presenters Forum. It should take no longer than 15 minutes to complete. The deadline to complete the survey is Oct. 30, 2017. If you would like to set up a time to discuss your thoughts in more detail with the team from JLL, please complete the form on the project website, www.wakecountydsp.com, to schedule a time.